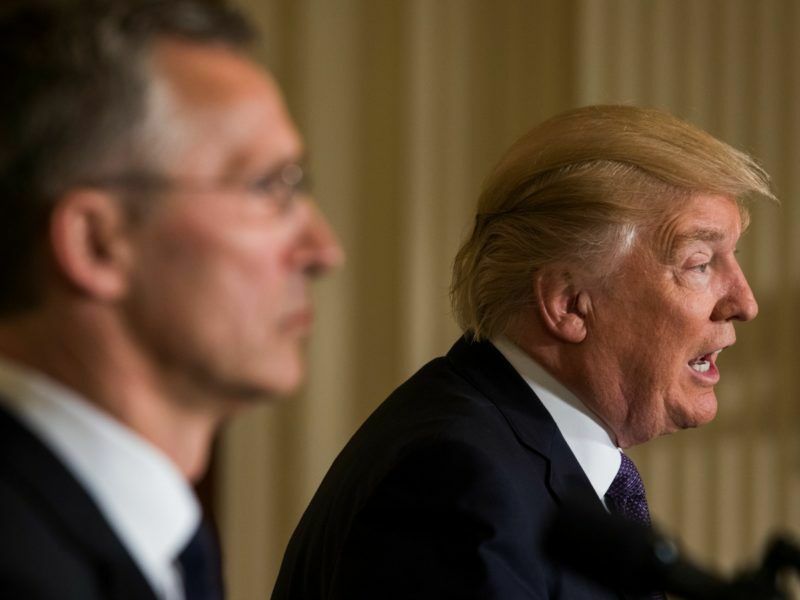 President Donald Trump affirmed the US commitment to the defence of NATO allies yesterday (6 July) in a Warsaw speech that gently criticized Russia, and he said Western civilization must stand up to “those who would subvert and destroy it”. In his second trip to Europe as president and shortly before leaving for a potentially fractious G20 meeting in Germany, Trump sought to ease the nerves of US allies after failing in May to endorse the principle of collective defence enshrined in Article Five of the NATO treaty. 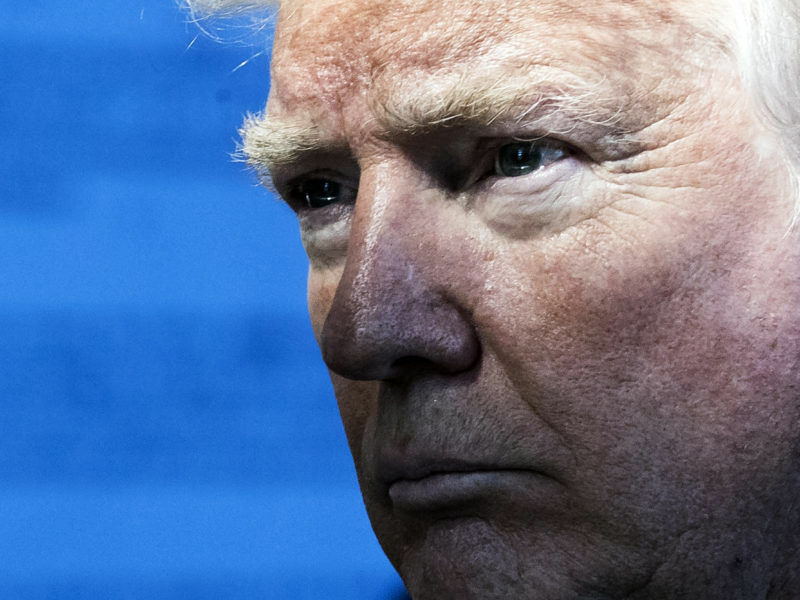 After less than three months in office, President Donald Trump has abruptly shifted his stance on an array of foreign policy issues from the US relationship with Russia and China to the value of the NATO alliance. The president also had tough words for Russia on Thursday, though he did not fully endorse allegations, backed by US intelligence agencies, that Moscow interfered in the 2016 presidential election that he won. Michael McFaul, former US ambassador to Russia, tweeted that Trump was at the perfect place to criticise Russia for the Crimea annexation and the interference in the US elections, but he didn’t use the opportunity. Trump meets President Vladimir Putin for the first time face-to-face on Friday (7 July) in Hamburg, the site of the G20 summit. “We urge Russia to cease its destabilizing activities in Ukraine and elsewhere and its support for hostile regimes including Syria and Iran, and to instead join the community of responsible nations in our fight against common enemies and the defence of civilization itself,” he said. The Kremlin said Russia was not guilty of any destabilising activity. Seemingly, 25 May was the ‘Day the Music Died’ at NATO. Few have missed the turmoil around US President Donald Trump’s Brussels visit. But the real story has flown under the radar, reveals Anna Wieslander. 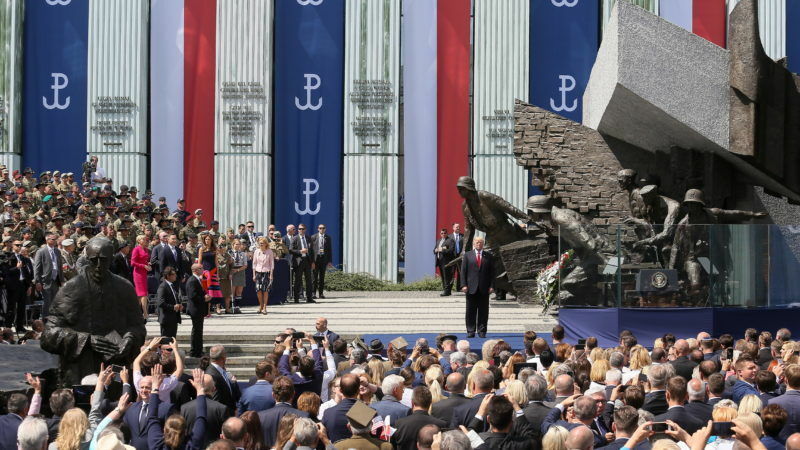 Trump was received by enthusiastic crowds on a central Warsaw square – some 15,000 people according to police estimates – many arriving on buses arranged by parliamentary deputies of the ruling conservative Law and Justice (PiS) party. People carried US flags or placards with photographs of Polish President Andrzej Duda and Trump. Some wore t-shirts with American flag colours and many chanted the president’s name. Trump reiterated his criticism of low defence spending levels by many European nations and praised Poland for meeting the alliance’s target of spending 2% of economic output on defence. “To those who would criticise our tough stance, I would point out that the United States has demonstrated not merely with words but with its actions that we stand firmly behind Article 5, the mutual defence commitment,” he said to applause. The Eurosceptic administration agrees with Trump on issues such as migration, climate change, coal mining and abortion, and it wants EU institutions to give back some of their powers to national governments. “We are against abortion, we promote life. These values are shared by President Trump. There is no other leader who would evoke God in his speeches so frequently,” said Lukasz, a 30-year-old teacher from the seaside city of Szczecin, who travelled to Warsaw with 40 others. “The fundamental question of our time is whether the West has the will to survive… Do we have enough respect for our citizens to protect our borders? Do we have the desire and the courage to preserve our civilization in the face of those who would subvert and destroy it?” he asked. The US president has decided to pull Washington out of the Paris accord on climate change. Many conservative Poles see that fighting, in which thousands died and Warsaw was razed to the ground, as a defining moment in Polish history, symbolising the country’s struggle against its powerful neighbour to the west, Germany. From Warsaw, Trump tweeted that it was a nice city. “Now I know why both Hitler and Stalin invaded Poland in World War II,” he said.